Does the Glass Shyamalan Twist Connect to Signs or The Sixth Sense? With M. Night Shyamalan’s Glass on the way, it’s been a good time to go back and check out some of the director’s earlier work. Specifically, Unbreakable and Split, since they are all a part of this trilogy. When Split was released, nobody knew at the time that it was a sequel to one of Shyamalan’s most beloved movies until they reached the very end. If Shyamalan was able to pull off that huge surprise twist, could he have secretly made the ultimate Shyamalanaverse by connecting The Sixth Sense or Signs to the big twist at the end of Glass that we all know is coming? Split hit theaters 18 years after The Sixth Sense and it features James McAvoy as Kevin Wendell Crumb, a man who is suffering from dissociative identity disorder (DID). During a Skype call with other professionals, Crumb’s therapist Dr. Fletcher suggests that DID is, “the ultimate doorway to all things we call unknown” and is “where our sense of supernatural comes from.” The word “supernatural” is casually thrown out there without anyone dwelling on it. But, it could actually connect to The Sixth Sense. But, if DID is where our “sense of supernatural comes from,” wouldn’t that be The Sixth Sense? Cole Sear (Haley Joel Osment) is a troubled, isolated boy who is able to see and talk to the dead, including his therapist Malcolm Crowe, who is played by Bruce Willis. 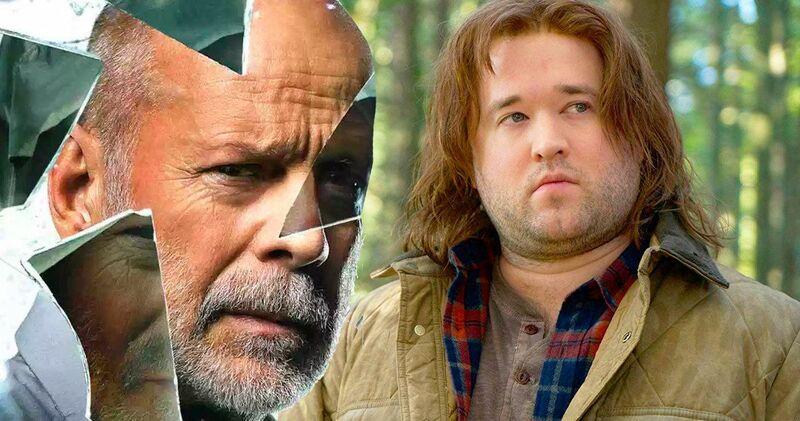 It’s certainly possible that Over 20 years after The Sixth Sense that Haley Joel Osment’s Sear character could tell the characters in Glass that they are all dead, pulling back the camera to reveal that he’s in the psyche ward, only to reveal that Colin Sear is actually someone with superpowers too. If The Sixth Sense is pulling into the Glass universe, maybe M. Night Shyamalan’s Signs is going to end up in there as well. Now, we’re taking all of the director’s (arguably) best work and putting it into the Shyamalanaverse. While Signs doesn’t automatically connect to the Unbreakable, Split, Glass, and The Sixth Sense, the real reason why the aliens came to Earth could be hidden in the latest movie. It’s quite possible that the aliens in the movie created the superheroes as a form of revenge to watch the world tear itself apart. It’s a bit of a stretch, but who knows, maybe Shyamalan has been planning this for years. This is all speculation at this point, but it would be crazy if M. Night Shyamalan had been planning this for the last 20 years, throwing out misdirects wherever he could. With that being said, where does Bruce Willis’ two characters within the shared universe fit into all of this? It’s possible that Malcolm Crowe and David Dunn could be connected somehow. Regardless, we’ll all find out on January 18th if Shyamalan just created the ultimate Shyamalanaverse right under our noses. For more information and showtimes for Glass, you can head over to Universal Pictures.